Welcome to over 43 years of “Say Yes” to the dress tradition in the Bay Area. Trudy, herself, is known throughout the bridal industry as one of the leading buyers in the country. Trudys is always the first to bring in the newest styles every season. You can often attend a preview event at Trudys where our brides are literally the first in the country to try on the newest collections, straight from the runway. The top designers are continually seeking our brides' and consultants' valuable feedback to perfect their lines. We make sure our brides have access to the best styles, the latest trends, and the most in-demand popular designers. Our consultants are extremely passionate about finding you the right dress. You'll find our in-depth product knowledge extremely helpful in exploring all of the options available to you. Our ultimate goal is for you to look and feel simply beautiful. At Trudys Brides we carry a wide range of sizes and a large variety of styles and budgets to meet most needs. The price ranges from $900 to $5000. 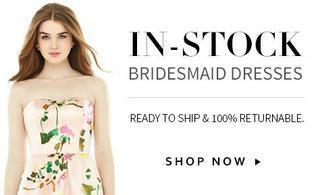 During summer months, Trudys offers gorgeous sample sale gowns for under $900. Our selected designers offer tremendous value, so brides with celebrity taste really can achieve that look for much less! It’s our pleasure to offer an amazing selection of dresses to try on from sizes 4 to 26. The full-figured bride will find just as much fashion to try on as a petite bride. We know that when you try on a dress that fits, this experience alone can make all the difference in your selection process. Are you a Trudys Bride? Our open-minded brides seem to have the best experience. We know it sounds cliché, but it's really true. When our brides come in open to many possibilities, they seem happier. The whole process of finding the perfect dress should be like a wonderful journey of discovery. So often, brides tell us they never would have imagined the gown they ultimately chose, if it wasn't for the consultant suggesting something completely out-of-the-box and different. It really is quite special when a bride looks in the mirror and has never felt more beautiful. That's an amazing moment for everyone!